2016 PIMCO All Asset Review — Eclectic Associates, Inc. In late February, four of Eclectic Associates’ advisors sat down with Brandon Kunz of Research Affiliates and Amita Sheth of PIMCO for an in-depth review of the PIMCO All Asset fund. The lead manager of the fund is Rob Arnott of Research Affiliates. The fund has recently struggled, declining 8.7% in 2015. Returns in 2013 and 2014 were also relatively weak compared with stocks and bonds. However, we’re glad to see the fund is up 4.2% year-do-date in 2016. At the conclusion of the meeting, and after considering the following information gathered from that discussion, we remained confident in Rob and the strategy. Therefore, we will continue to recommend it to our clients. What have been the primary drivers of the disappointing performance? Has the investment manager diverted from the investment process that was in place when we initially recommended it? Will the manager be able and willing to ride through negative periods to produce better results in the future? Is the manager taking on too little or too much risk for our clients with his current holdings? 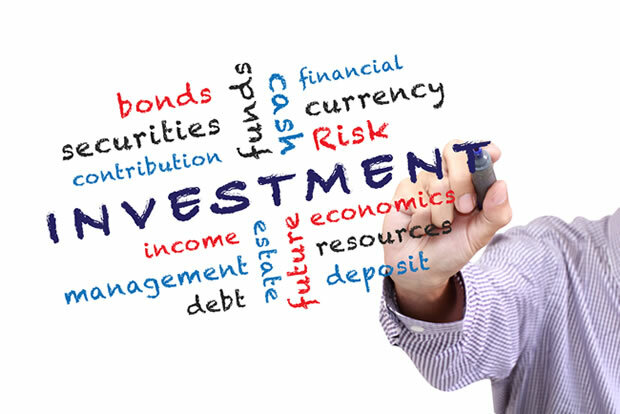 PIMCO All Asset is in the investment category we call “Other” which simply means investments that don’t look like a traditional stock or bond investment. Rob Arnott, as the manager of PIMCO All Asset, has more flexibility with this fund than the typical fund manager would have, because he’s able to invest in various global asset classes including real estate, commodities, emerging market stocks and bonds, and high yield bonds. Rob has labeled this group of non-traditional asset classes as “Third Pillar” assets. Rob’s benchmark is to produce a return of Consumer Price Index inflation plus 5% annually over full market cycles. To beat inflation, he invests in asset classes that do well when inflation expectations are rising. Inflation expectations have fallen. Rob expects inflation to pick up going forward as the oil market stabilizes and the US labor approaches full employment. The strengthening of the US dollar vs emerging market currencies has led to negative returns. Rob expects emerging market currencies to strengthen long-term based on attractive demographic trends and debt levels relative to US trends. More expensively priced investments have performed better than cheaply priced investments. Rob expects value-oriented investments to return to favor in the markets. While we wouldn’t expect Rob to be able to precisely predict the timing of any of these trend reversals, we think that he has given us good reasons to expect them to occur. We’re confident that Rob will stick to his guns based on his recent indomitable posture and PIMCO’s apparent commitment, supporting him and the fund. Rob favors emerging markets now more than he has in recent years. We believe that cheap emerging market stocks and bonds are high-risk, but also offer the potential for very high rewards. At 35%, we think the allocation to emerging markets increases the risk of the fund, though not to a level that we think is imprudent. If Rob increases the emerging market allocation significantly more, then we would likely re-evaluate how the fund fits for our clients. We haven’t seen Rob divert from the process he has followed for 13 years. He still favors cheap investments. He invests in parts of the world where our clients would otherwise have little or no exposure. He still likes high yield investments (currently 6.9% based on yield-to-maturity of bonds and dividend yield for stocks) that are overall diversified away from traditional US stocks and bonds. For these reasons, we continue to recommend PIMCO All Asset to our clients. By the way, the fund’s average return since its 2002 inception of 6.5% annualized meets our expectations. We expect a return higher than traditional bond returns, but less than stock returns, with an added benefit of diversification through regular rebalancing. Please feel free to give us a call if you wish to discuss this further with an Eclectic Associates advisor. This word truly got to the heart of the Camps’ desire to help people with their business. Thus, the name, “Eclectic Associates” was chosen.